Acne Scars are an emotional concern and often have a long term psychological impact that can severely reduce a person’s self-esteem and confidence. 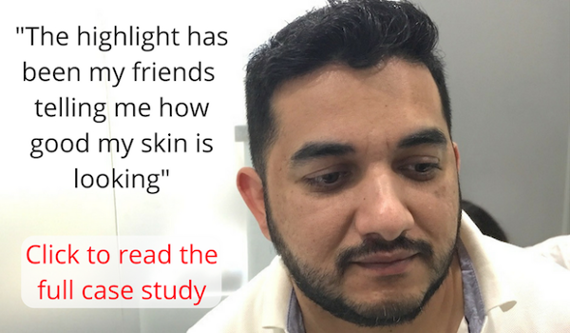 Providing effective treatment is something we are extremely proud of at Feel Good Laser & Skin Clinic, with one of our founders suffering from this concern and successfully treated in our clinic. If you are suffering from acne scarring, take advantage of our free consultation where our highly trained staff can accurately diagnose your skin problem and provide the most advanced treatment options available in Melbourne. When untreated acne penetrates deeply into the skin, it can damage the underlying skin and the tissue. As acne is treated or when it clears, the body tries to repair the damage left behind. During this healing process, the fibroblasts in the dermis (second layer of skin) produce a substance called collagen. 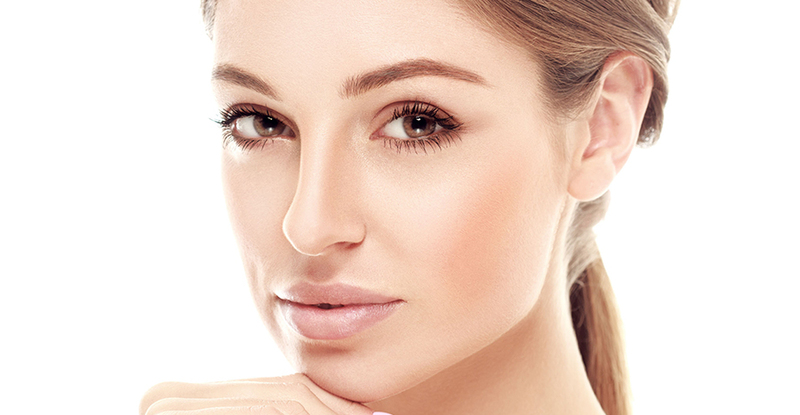 Collagen acts as the framework, providing support to the epidermis (top layer of skin). The incorrect amount of collagen in the wrong area will potentially create a scar and unevenness to the skin. Depressed (Atrophic): Are the most common type and are caused when not enough collagen is produced. What if acne scarring is in my family? If your parents or other family members have acne scars, it is likely that you will be more susceptible. If this is the case it is even more important that you treat active acne early to reduce the chance of scarring. 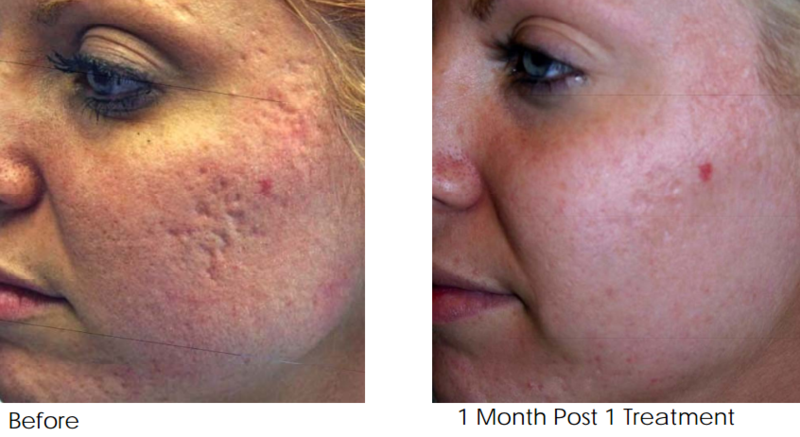 Click here for more information about effectively treating acne in Melbourne. Laser or Radio Frequency for Treatment? The basic theory behind fractional lasers and radio frequency skin treatment is that the heat destroys microscopic sections of scarred skin under the skin’s surface. When the energy is applied to the skin, it creates controlled microscopic damage in the dermis (second layer of skin). Once injured, the body triggers a rapid process of repair. This is the exact wound healing process that is essential in repairing acne scars, where the destroyed scar tissue being replaced with new collagen and elastin producing cells. Laser energy needs to travel in straight line, meaning that fractional lasers exert most of their energy (10-70%) on the epidermis (top layer of skin) before penetrating deeply into the dermis. Fractional lasers are therefore less suitable for treating deep scars as the energy loss occurs before the energy gets to where it is needed. Feel Good Laser & Skin Clinic use Sublative technology from the eTwo device, a Syneron Candela manufactured machine that has had numerous clinical studies and is FDA cleared. Using radio frequency energy, we are able to get more energy into the layers of the skin where it is needed to stimulate the repair of acne scars. At Feel Good Laser & Skin Clinic we offer a free consultation where you will receive personalised information based on your skin type and acne scar level. From this, you will know how many treatments are needed, a written quote with cost and specific information you will need to follow before, during and after your treatment. If you are suffering from acne scarring, it is time to take action. 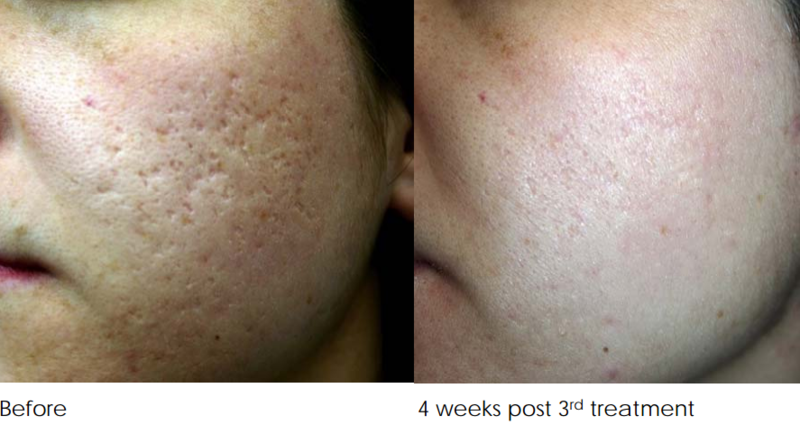 Feel Good Laser & Skin Clinic in Richmond specialise in and are passionate about treating your skin concerns. The next step is to book a free consultation to have your skin assessed. To book a free consultation you can give our friendly team a call today on 1300 896 834 or book online by clicking on the button below. Avoid sun exposure at least two weeks before treatment. Do not bleach, pluck or wax 4 to 6 weeks before and after treatment. Wait for tanned skin to fade before beginning treatment. Our Clinicians are available to provide further information to you. Your skin may be slightly red immediately following the procedure. This typically lasts from a few minutes to several hours after the procedure. Topical anesthetic ointments and cooling are often used to reduce discomfort during treatment and help minimise post treatment effects.Our Clinicians are available to provide further information to you.